Eggs have been a perfect breakfast staple for many since time immemorial. Many of us also include these yummy delights in our weight loss diet as they are not only low in carbs but are also an excellent source of high-quality protein. Be it in the form of omelette, boiled or scrambled, this super versatile food can be added to any dish, including desserts. 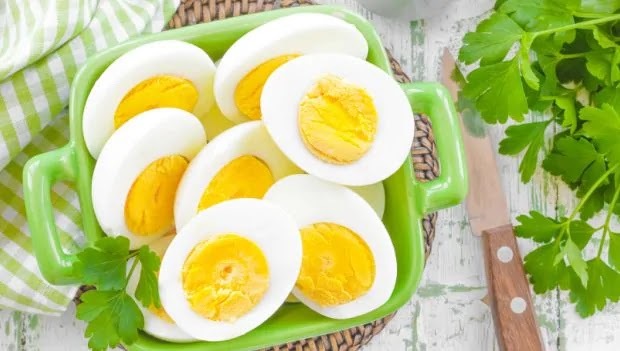 But since many years, there has been an ongoing debate whether eggs are healthy and can be included in our diet or not especially for diabetics and people with heart-related problems, as they were considered to be too high in cholesterol. The British Heart Foundation and British Egg Industry Council have backlashed the idea of adding eggs to everyday diet. As per them, eating three or more than three eggs in a week could contribute to serious heart problems. According to the findings of a study, published in the Journal of the American Medical Association, increase in consumption of eggs or dietary cholesterol may result in higher risk of heart-related diseases. Eating three eggs in a week is equivalent to 300 mg of cholesterol every day (half egg each day) . This may increase the risk of fatal and non-fatal coronary heart ailments, including stroke and heart attack. The study was done on 30,000 adults in the United States who monitored their own diets for almost 17.5 years. Nutritionist Juliet Gray said, "The study was inconsistent with the considerable weight of evidence from previous, robust, research. Potential limitations of the research included its failure to account for considerable changes to the US diet during the 1985-2005 period in which the results were collected, said the BEIC." "It is known that high egg consumers have historically also been high consumers of processed meat products such as sausages and bacon, as part of a traditional breakfasts and fast food meals," added Gray. Moreover, she highlighted the findings of the recent research that showed a need to separate eggs from other food types like processed meat that comprises high levels of saturated fat. Neither the Department of Health nor the British Heart Foundation has revised their guidelines in the wake of the study. "This study was observational, which means conclusions have been drawn from large quantities of data. It shows there is an association between dietary cholesterol from foods like eggs and disease risk, but doesn't prove it is cause and effect," said a spokesman for the British Heart Foundation. "What's more, dietary cholesterol wouldn't be the only factor increasing people's risk of heart and circulatory disease. Other factors such as lifestyle or genetics may have also played a part."